Let's face it: Tinariwen are a bit too Jools Holland for their own good these days (sellouts, the lot of them), so it's time to pick a new favourite Tuareg rock band. Look no further - Sublime Frequencies have cast a spotlight on this band from Agadez in northern Niger, and they're rather special. Led by guitar maestro Omara Mochtar, the band demonstrate two sides to their art on this LP: the first half is filled with acoustic, folksy compositions, recorded intimately, while the second half reveals the band's full force, drawing parallels with bluesy American garage rock and wild six-string psychedelics. Tremendous. "Limited Edition 180 gram vinyl LP with full-color gatefold jacket. 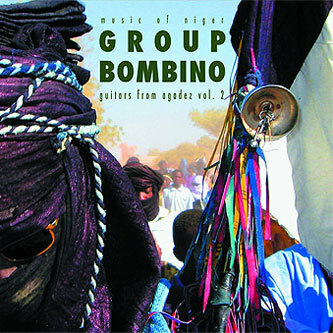 Group Bombino are the latest discovery from the outer fringes of the Saharan Guitar scene. 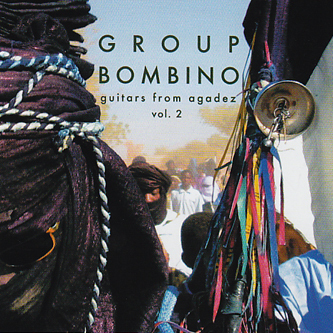 Volume 2 of the Guitars From Agadez series is their debut LP. Led by Omara Mochtar, Group Bombino are fast gaining mythic status within the Tuareg community for their legendary performances and incendiary guitar heroics."